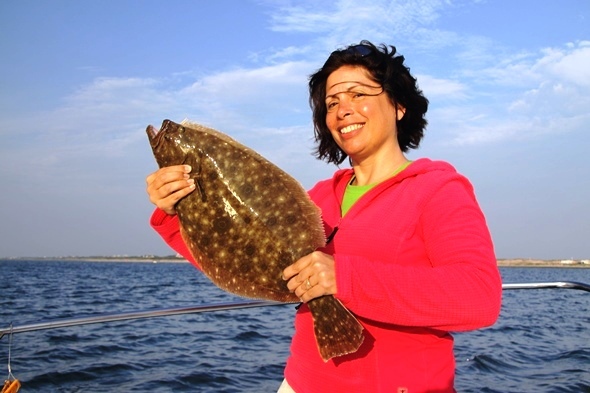 Under the new regional approach to fluke management for 2014, New York anglers are very much looking forward to the summer flounder season getting underway. Several months ago it seemed a long shot that this arrangement would come to pass, but behind the scenes there was grudging acknowledgement from neighboring states with more liberal limits that New York was getting the short end of the stick. Combine this with a rebuilt fluke population in which more and bigger fish have tended to shift north toward New York, pressure from Governor Andrew Cuomo who warned the federal government that New York was prepared to file suit if action was not taken to ensure the state’s anglers got a fair deal, and introduction to Congress of Senator Charles Schumer’s Fluke Fairness Act which threatened legislation to ensure a more fair distribution of the coast-wide fluke quota, and the tide finally began to turn. While there was a serious call from New Jersey for other options that would continue state-by-state management – the Garden State and Virginia both voted against the amendment adopted – the motion carried due to the tireless efforts and pressure asserted at every level by the New York ASMFC delegation, organizations like the New York Sportfishing Federation, and high-ranking elected officials who got behind the cause for the final push. Last year, fluke regulations in New York called for a 19-inch minimum size and four fish creel limit. Both New Jersey and Connecticut enjoyed more liberal restrictions with a 17.5-inch size limit and five fish creel even as they fished shared border waters such as Raritan Bay and Long Island Sound. New Jersey, New York and Connecticut were the only states to exceed their fluke quotas in 2013. Under the new regulations, it is likely the size limit will be 18 inches, but the creel limit and season length are yet to be determined. The specifics will be finalized by a working group of biologists from the three states, using the latest data, after which the states must go through their individual rule-making processes before the new rules are adopted. This summer, Governor Cuomo sent a letter to the U.S. Department of Commerce calling on the agency to undertake an immediate reassessment of regulations pertaining to the amount of fluke that may be legally caught by commercial or recreational anglers. Under New York’s fluke regulations in 2013, this pretty fluke was a short and had to be returned to the water. With the new minimum size limit likely to be 18 inches in 2014, a fish this size will might be a keeper. Of course, there are caveats; there usually are when it comes to fishery management issues. As the Senator noted, this ruling covers the 2014 season only – so the future of fluke regulations beyond this year remains uncertain. Second, combining the quotas of all three states may actually reduce the overall length of New York’s fluke season by as much as three weeks. With the likelihood of a reduced size limit in New York waters, some also worry that the fluke quota for the entire region could be exceeded if anglers get on a roll this summer. That will bring a tightening of the regulations next year along with the required payback if the entire coast exceeds its quota. Indeed, for now, fluke regulations are moving in a positive direction from a New York perspective. We’ll have to see how the season dates fall before everyone will be all smiles but overall things look more balanced. These are regulations most New York anglers will consider reasonable. Felicia Scozozza caught this solid fluke in the waters south of Shinnecock Inlet. With the new size limit under a regional approach likely to be 18″ in 2014, New York anglers should have an easier time putting fillets on ice. The takeaway from all this, Senator Schumer told me in a telephone discussion following introduction of his Fluke Fairness Bill back on January 14, is that your voice does make a difference. “It’s vital for all of us to keep the pressure on the ASMFC,” he stressed at the time. “New York’s anglers have been trying to bring change to fluke regulations for years. They have expressed themselves loud and clear. With everyone working together, presenting one strong voice, we should be able to make this happen.” Senator Schumer has now been proven right on this point, and he has vowed to continue pushing for federal legislation until these changes are made permanent. New York’s anglers have finally earned the fluke fairness which they have long desired. 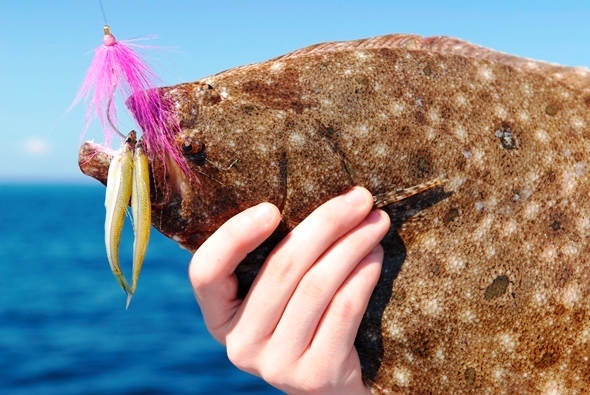 The new rulings should give local anglers a reasonable chance to catch and keep a fluke or two for dinner while still protecting the resource. Let the grumbling now begin over which days will be trimmed if it is necessary to accommodate a shortened season. 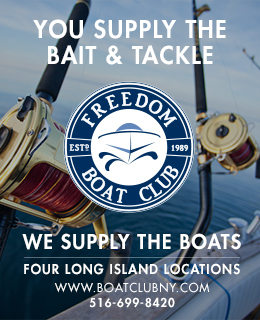 How the new regulations work out in the long run remains to be seen but for New York’s recreational fishermen, any deal had to be better than the Draconian state-by-state management that has strangled our fishery for the better part of two decades. Here’s looking forward to the first keepers of the 2014 season. Mine will be served broiled with lemon, butter and a sprinkling of toasted bread crumbs. 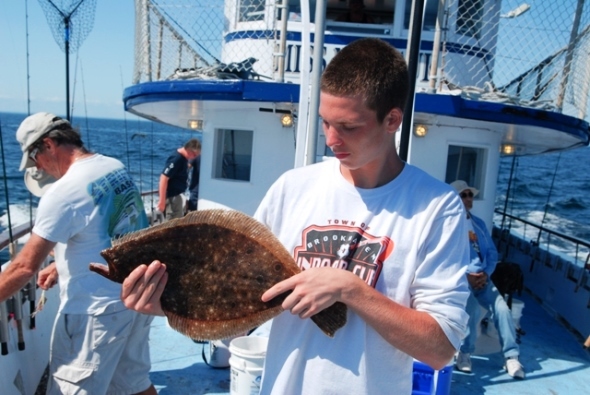 Editor’s Note: This article was edited on 2/8/14 to reflect that minimum size, creel limits and season length for fluke under the new regional management approach for NY, NJ and CT have yet to be finalized for the 2014 season.